It doesn’t matter whether you want to play European or American blackjack, these casinos have got it all there for you. So, sign up today, claim your bonus and begin weighing in on the argument of which is better. You know you want to! Quite honestly, there are a few differences between European and American blackjack. The first difference involves how players are dealt cards. In American blackjack, players will be dealt two cards immediately. Players will be able to see the value of one card only as the one will be face down. Dealers will be forced to check their cards instantly if they are dealt a face-up Ace. If the dealer has blackjack (a score of 21), the game ends immediately. However, in European blackjack, the dealer only receives a second card after the player has completed their hand. This means that players potentially have a chance of losing more cash due to more opportunities to increase their bet. 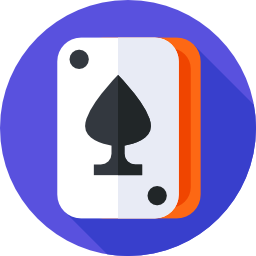 The second major difference between the two versions of the popular card game is that American blackjack uses between six and eight decks whereas European blackjack only uses two. There are a few more differences associated with the type of bets players are able to make in each version of the game. However, we will go further into those difference in the rule section down below. Dealers are required to stand on 17. Players can split up to three different times. When players split Aces, they aren’t able to get Blackjack. It should also be noted that players can only choose to split Aces a single time. In most cases, players are allowed to surrender late into a game. If the dealer has a hand between 2 and 10 and yours is between around 4 and 8, we recommend that you hit. If you’ve got a had that sits at a score of 9 and the dealer has got a low score around 2 and score, we say up your bet. We recommend that you stand if you’ve got a score around 12 and 16 and the dealer has low one. The dealer is more likely to go bust in such instances. If you’ve got a score between 17 and 21, just stand. You’re highly likely to bust if you hit in such occasions. Payouts are always 3 to 2. Players are paid even money when both they and the dealer have blackjack. If the dealer gets blackjack, player need to get blackjack too to be paid even money. The dealer is required to stand on 17. Players can only double down on a score of between nine and 11. Players can only split once and cards need to be identical. For example, two Queens. Players can’t double down if they’ve split their hand. Players aren’t allowed to surrender. Insurance is an option if the dealer has an Ace. Which Version of Blackjack Should You Play? Well, we believe that American blackjack clearly presents a better deal for players. They are saved from making any extra unfortunate bets by the fact that the game ends if a dealer has got a hand of 21. It also presents better wagering options. That said, we do also love us a round of unpredictable European blackjack. So, it’s probably just best that you play what you feel in the mood to play.